After 1860, Pius IX decided that it was necessary to abolish the privilege of the Legazia Apostolica di Sicilia. It is for this purpose that he appointed a special commission entrusted to study the case and propose a solution. Cardinal Francesco Saverio Apuzzo was a member of this commission: this work takes into account the opinion he expressed in 1861, that is particularly important for the analysis of the conditions of the Sicilian Church and for the proposals advanced in order to bring it back under the exclusive jurisdiction of the pope. The paper deals with the travel that mgr Piero Rossano, at that time secretary for the Secretariat for non Christians, did in Soviet Union in 1975 with fr. Chiavacci, senator Gozzini, his wife Vilma and an Italian writer, Gino Montesanto. In Montesanto’s archive the author found new information about this travel and about the meetings that Rossano had in Moscow, Zagorsk, Vilnius, Kaunas, Riga and Jurmala. The Italian delegation met representatives of the Moscow Patriarchate, of the Soviet regime, but, above all, met some leaders of the persecuted Catholic Church. The trip must be considered as an important piece of the Catholic Ostpolitik: a pastoral activity that included negotiations with hostile Governments, ecumenical meetings, and brotherly support to Catholic bishops beyond the Iron Curtain. The Collectanea provide access to the creation process of Anastasius the Librarian (how he obtained the sources and how he used them in his translations), highlighting the relationships between intellectuals of his time, in particular John the Deacon. The pamphlets of the Collectanea are emblematic for the understanding of the disputes involving the Papacy in the second half of the ninth century, such as the debate on papal infallibility and the Photian schism. Only one manuscript contains the Collectanea as a whole (Paris, BNF, lat. 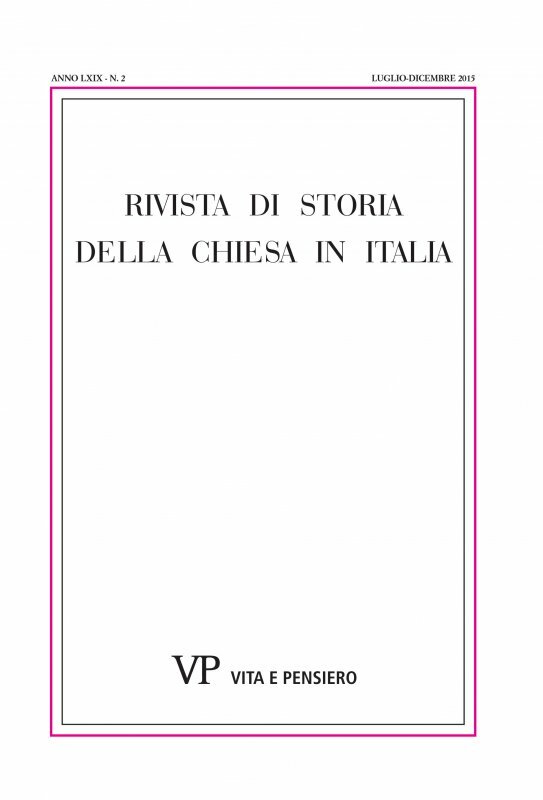 5095) while the central section (Narrationes or Acta Martini) can be also found in Roma, Vallicelliana, T. IX. The relationship between these two codices is rather complex, linked to production methods typically anastasian and probably the result of a double redaction.